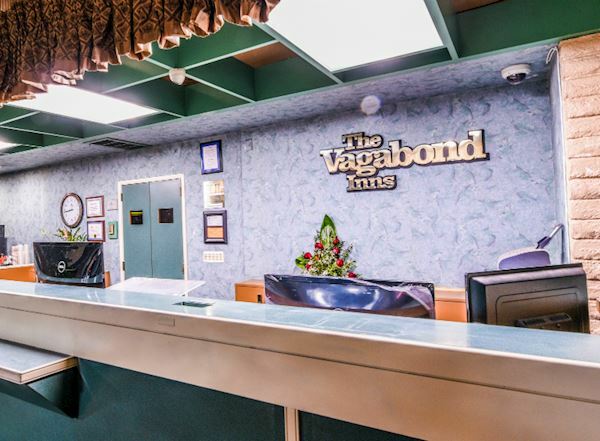 Welcome to the Vagabond Inn Costa Mesa hotel. 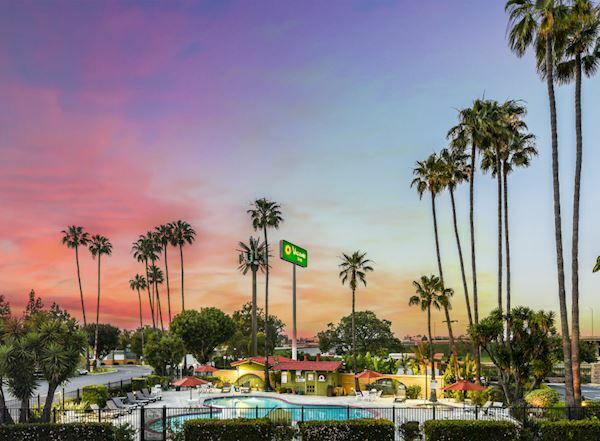 Our hotel is conveniently located off the 405 Freeway in Orange County, CA. 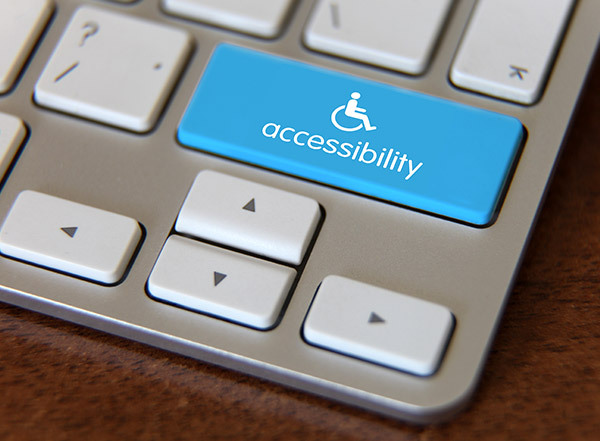 The Vagabond Inn is the perfect budget-friendly place to stay in the famed OC area, and welcomes all types of travelers with ADA Accessible rooms, and other special accommodations available upon request. 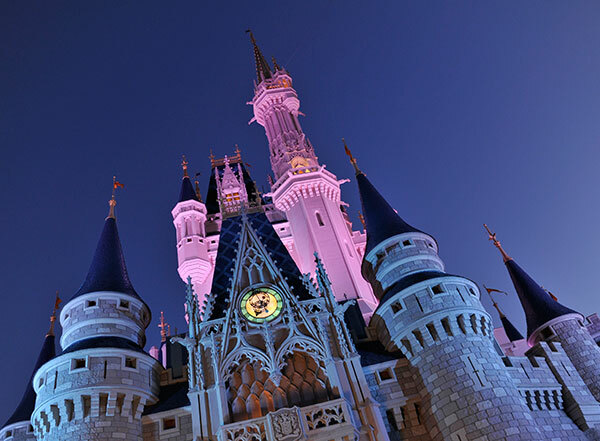 Visit one of the exciting attractions located nearby, including Disneyland, Knotts Berry Farm, South Coast Plaza, Newport Beach and the Anaheim Convention Center. 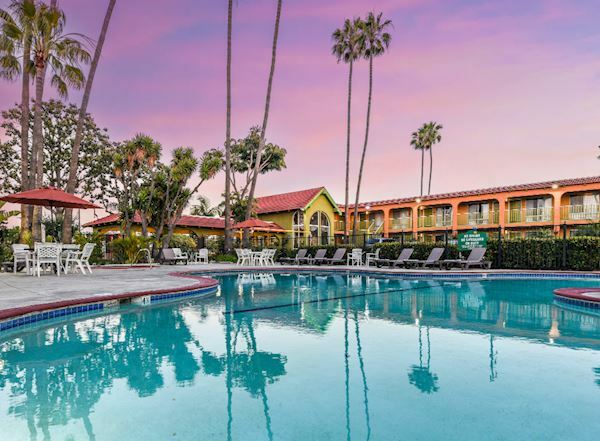 Additionally, our Costa Mesa hotel is a five minute drive to John Wayne Airport (SNA). 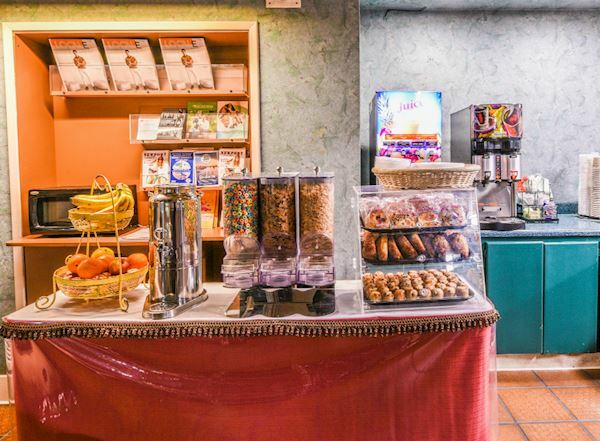 Our Costa Mesa hotel has a heated pool, hot tub and rooms with cable TV and HBO, as well as complimentary WiFi. When traveling with family, there are Family Units available to keep everyone together. You can also enjoy the outdoor BBQ area, which is a great place for a family gathering. Or, take a short walk to the adjacent In-n-Out for a quick hamburger fix. 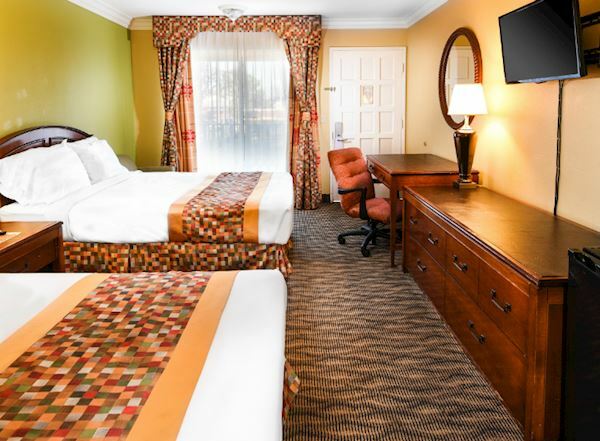 For business travelers, our business-friendly rooms offer ample work space, a larger TV and more tailored amenities. You can even host your own meeting in our conference room that can hold up to 40 people.